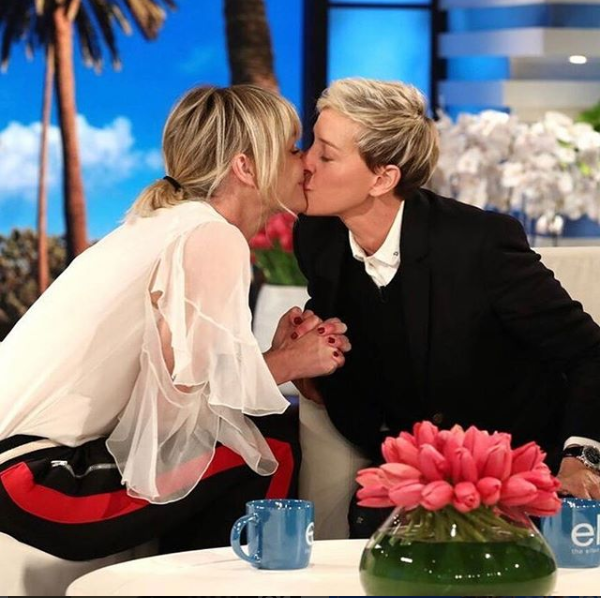 Talkshow host, Ellen Degeneres has taken to social media to share photo with her wife, Portia de Rossi celebrating the National Coming Out Day with a kiss. Ellen Degeneres took to her Instagram page to share the beautiful photo as they take part in the annual LGBT awareness day usually observed on October 11 and 12 in some parts of the world. DeGeneres celebrated National Coming Out Day on Thursday, October 11 by giving her wife, Portia a sweet shout-out on social media. Ellen and Portia had began dating in December 2004 while de Rossi was on the Fox sitcom Arrested Development. And in 2008, Ellen announced on her show that she was planning on getting married to Portia. DeGeneres told PEOPLE in her 2016 cover story. In August 2005, Portia that her relationship with DeGeneres had allowed her to overcome her fears about coming out. The post Ellen DeGeneres and wife, share kiss to celebrate National Coming Out Day appeared first on Miss Petite Nigeria Blog.